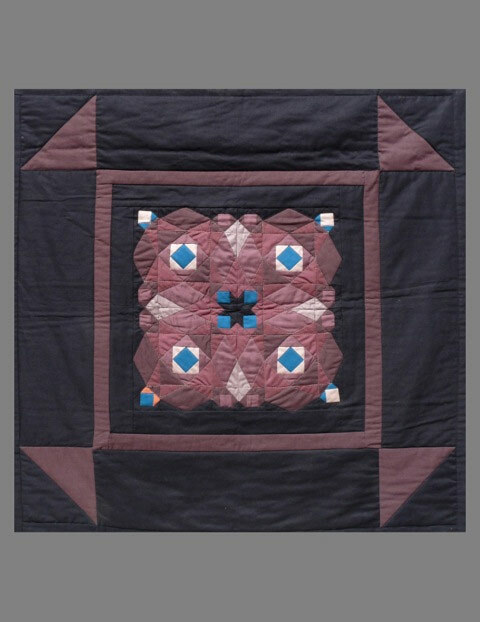 In this quilt, I combined the color sensibilities of Amish quilts with the intricacies of the storm at sea pattern. Departing from the symmetry of each storm at sea block, the color placement of center medallion fabrics created new shapes. It was fun to use solid fabrics and traditional blocks in a playful way.